Located on a hilltop in Hyōgo Prefecture, Himeji Castle is the most spectacular castle in all of Japan. Located in Himeji, the castle is also known as White Egret or White Heron Castle due to its pristine white exterior and its supposed similarity to a bird taking flight. A UNESCO World Heritage site, Himeji Castle is a national treasure and has never been destroyed by fires, earthquakes or wars, unlike many of castles in Japan. Surviving in its original form, Himeji Castle is considered the finest example of prototypical architecture and is comprised of 83 buildings and an advanced network of defence systems that date back as far as the feudal period. Beginning with a hilltop fort built by Akamatsu Norimura in 1333, the fort was later dismantled and rebuilt in 1346. Two centuries later it was then remodelled into Himeji Castle and has continuously undergone significant remodelling in the late 1500s and the mid-1600s. 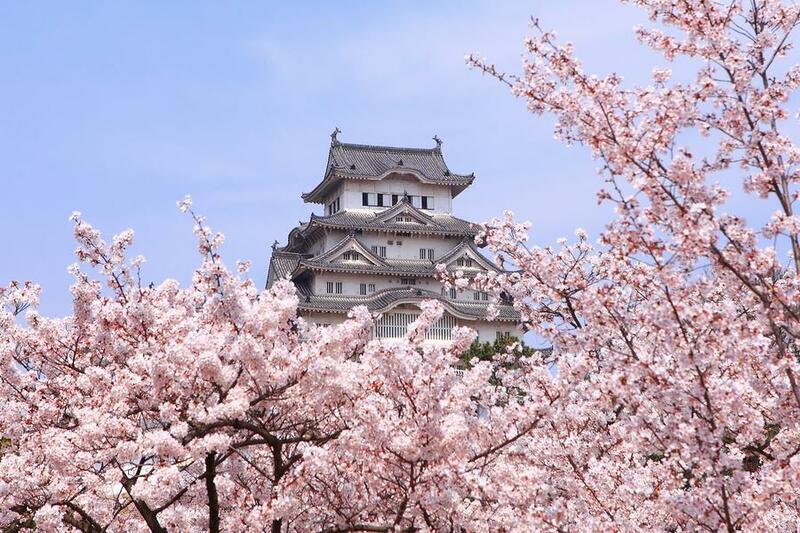 However, for more than 400 years Himeji Castle has since remained intact and has managed to survive extensive bombings in World War II and the Great Hanshin earthquake of 1995. The castle features a three story castle keep, several buildings and a large castle complex. 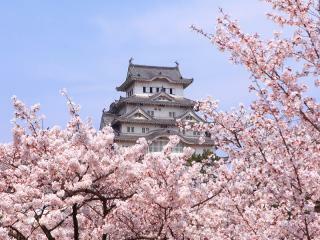 One of the first registered UNESCO World Heritage sites in Japan, the castle is not only the largest in the country but is also the most visited. A classic example of 17th century architecture, Himeji castle features 83 buildings complete with ingenious protection devices and highly developed defence systems dating from the early Shogun period. Not just a beautiful building it is a masterpiece of construction and engineering combining wood and plastered earthen walls. It’s aesthetic appeal and function provides a subtle elegance punctuated by the multiple roof layers. Five of the castle structures are designated National Treasures while the area comprising the middle of the moat at the centre of the castle complex is also designated a Special Historic Site. Himeji Castle is a leisurely 15 to 20 minute walk from Himeji Station however those pressed for time may prefer the 5 minute bus or taxi trip along Otemae-dori Street. Himeji Station is 1 hour and 40 minutes from Osaka on the Midosuji Line.